If you shoot a lot of high-definition content but tire of having to stop working to change SD cards, Lexar has a new, mammoth SD card that should make your job easier. I remember when I was kid first learning about technology I thought that a terabyte was such a huge, incalculable amount of space that surely no one person would ever need that much storage. You might be about to comment that SanDisk was in fact the first firm to show off a 1TB SDXC card; you'd be right, but that memory card never made it to market, so by that metric Lexar was the first. 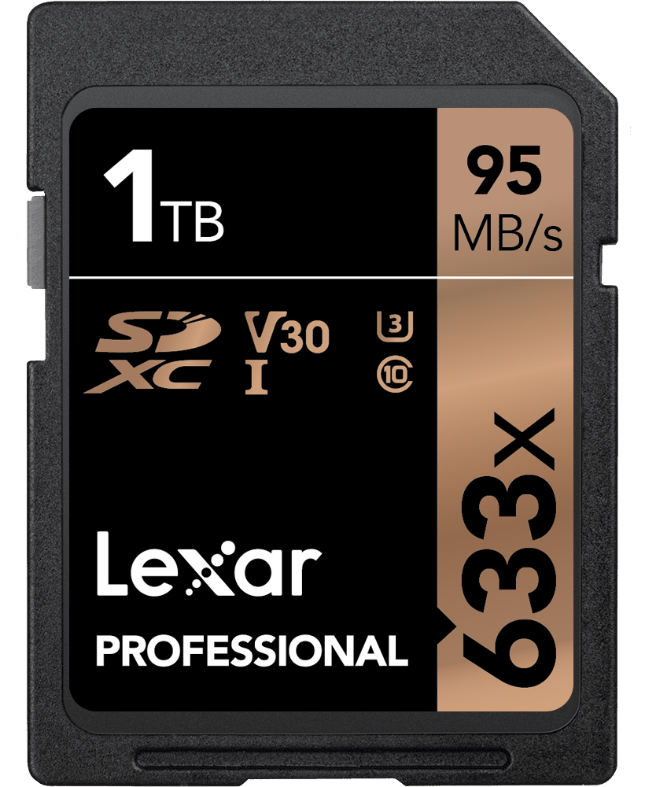 Now if photography and video capture isn't your bag and you've just shrugged at this news, then it's worth noting that Lexar's new SD card is indicative of the leaps and bounds SD storage has come on in the past decade or so. Lexar said in its press release that the card will offer users longer shooting sessions since they won't have to switch cards as often as they used to. This is a V30 card, which Lexar states can achieve up to 95MB/s data transfer speeds, but it is only guaranteed to hit a minimum sequential write speed of 30MB/s.